For a couple years, I had the opportunity to observe Jessie’s heart for God and for people, along with her devotion to the Word and to prayer. 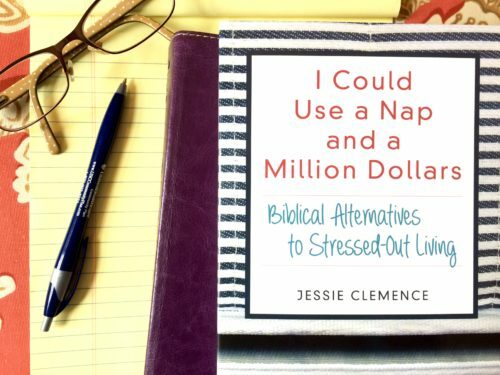 She has written a powerful (and yet humorous) book I Could Use a Nap and a Million Dollars: Biblical Alternatives to Stressed Out Living. We will wait right here while you go order it. I laughed, I cried, I thought deeply about the things that stress me out, and I made some changes after reading Jessie’s book. I think you will enjoy it too. I have become, somewhat by necessity, an expert on the subject of stressed-out prayer. This is what happens when your life is a stew-pot of problems but you also love Jesus. You end up praying A LOT. I’ve found that I tend to pray two different kinds of prayers. One of the ways works beautifully, but the other way falls flat every time. The failures usually involve demands for God to fix my problem right this very minute. And he can fix it the way I want it fixed, thank you very much. You will not be surprised to learn that God doesn’t respond to my bossy, crabby ultimatums in the way I hope. It took years of failed prayers, but I finally found a better way to approach God in any stressful situation. And I’ve learned that it doesn’t matter much what words I pray, but my heart, attitude, and perspective do matter. Whenever my heart is open to God’s provision and guidance, no matter what his answer may be, peace comes. Rest follows. 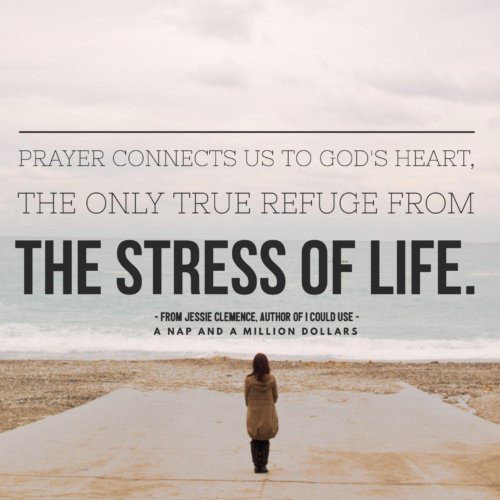 Prayer connects us to God’s heart, the only true refuge from the stress of life. Lord, turn me from my own perspective. I want to see this how you see it. Jesus, help me to find the abundant life you promised. I don’t see it here and I need you. Father, I submit to you in this situation. Father, Son, and Holy Spirit I’ve gotten myself into a mess again and I’m so upset my eye is twitching and please help me out here because the sky is falling and HELP. So far even that last one works when my heart is open and seeking refuge in whatever God allows. Apparently God isn’t perturbed by stressed-out run-on sentences. What about you? 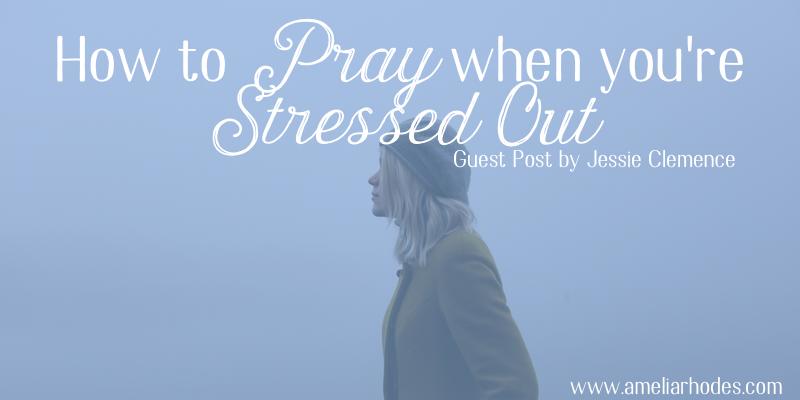 How do you pray when you’re stressed out? I’d love to know! Leave a comment below to be entered in the drawing for a copy of the book. For bonus entries, share this post on social media and let us know in the comments. Contest will close Sunday, March 4. Find I Could Use a Nap and a Million Dollars at Baker Book House, on Amazon, or wherever books are sold! 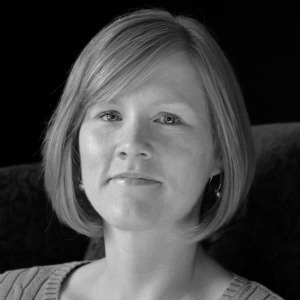 Jessie Clemence is a writer, wife, mother, and church secretary. Her third book, I Could Use a Nap and a Million Dollars helps women everywhere find God’s peace in the middle of their stressful lives. You can find her at jessieclemence.com. When I’m stressed beyond measure, I escape. Escape to the out of doors, walk briskly and talk to God. Sometimes out loud. Anyone looking on might deem me crazy. But that’s okay. Away from distractions particularly outdoors brings me closer to Him. When I am terribly stressed, I go outside on my porch and look out over the countryside to remember that God takes care of all of nature, I should trust Him more to take care of my issues. I try to remember to be thankful for everything He has already given me but admit that I sometimes am bossy and crabby too! Thank you for sharing the post, Rachel! Oh, what a great place to be able to pray and connect with God! I love my little porch too. I don’t have a view of the countryside as I live in town, but I make my porch pretty with flowers and lights, and I sit there and look at my neighbors’ houses and pray for them too. It’s so hard to pray when you’re stressed huh? I have chronic anxiety, so it’s even harder. I just have to physically remind myself to pray. Oh Elissa, I can so relate. I struggle with chronic anxiety too. Yes, physical reminders to pray have helped me. I will carry things in my pocket, and for a long time had a small spiral bound notebook with prayers and verses already written down that I’d keep in my purse. I’d pull that out and pray through those whenever I felt the anxiety or panic starting. Lord, I ask you to show yourself in a special way to my sister Elissa today. Provide comfort and encouragement, and when the anxiety starts to crowd her mind, intervene and show your strength and peace in the midst of it. Thank you for your grace and your love for us, even when our minds falter and fail. We love you. Amen. Prayer is what I am working on this year. I pray throughout the day, but I mean I am working on uninterrupted, set a timer, on my knees, do nothing else at the same time, praying. I love the title of the book! I also shared on Twitter. Rachel, thank you for sharing! I love how you are working on the discipline of uninterrupted prayer. It can be such a challenge in our culture, but it is so rewarding to have that sweet, quiet space with him! Tara, oh bless you! Thank you for sharing. I’m so happy to hear you are able to practice self care with a shower and coffee and a bit of time to yourself. I’ve also dealt with anxiety. I’m glad you talked to your doctor. May God continue to give you wisdom as you care for yourself, and may you know the deep, personal care he has for you. When I am most stressed and having a hard time praying, I put on Scripture memory music like “Overcoming Anxiety” or “Overcoming Stress” by Integrity Music’s Scripture Memory Songs or something by Seeds Family Worship or James by the Indellible Project. Then as the Scriptures begin to saturate my soul, I begin to try to sing and pray along with the songs until I can pray about what is on my mind.